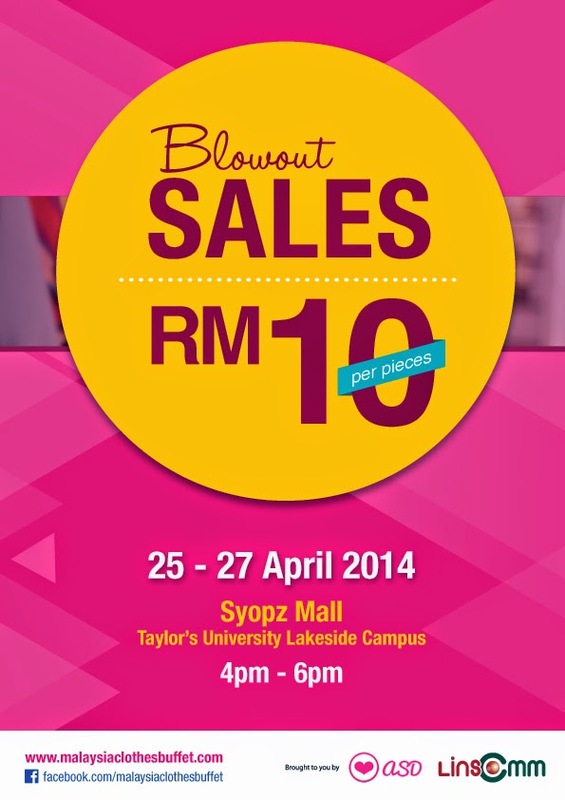 Sugoi Days: Malaysia's Largest Clothes Buffet is Back! 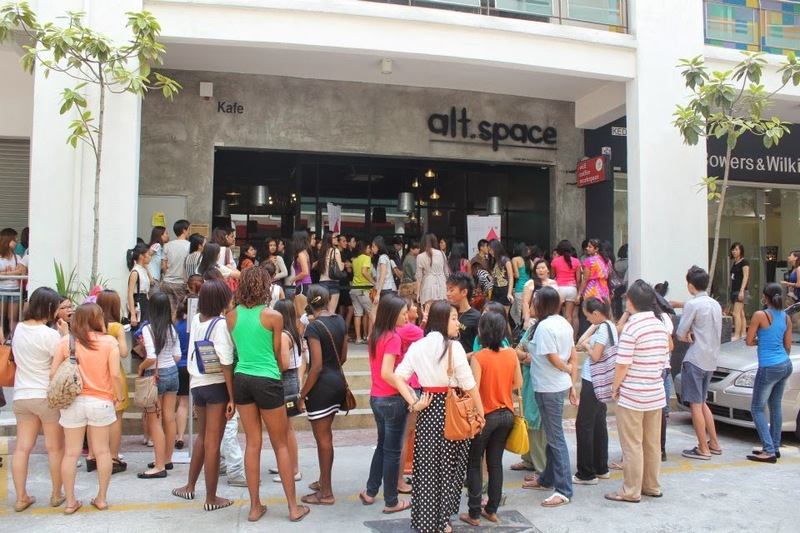 It's no secret that clothes and buffets are most Malaysian girls' favourite words. But what happens when you put these two things together? That's right. 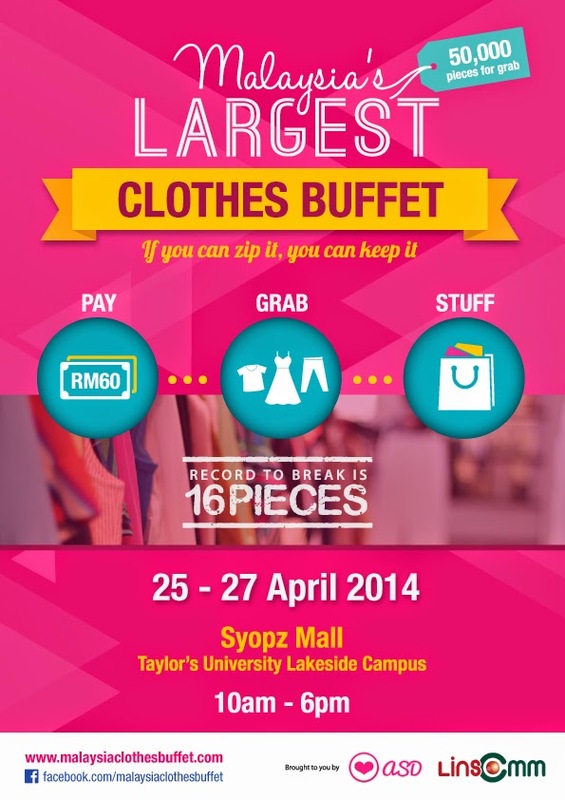 Malaysia's Largest Clothes Buffet is back and this time it will be taking place for three whole days from 25 - 27 April 2014 from 10am - 6pm at the Syopz Mall, Taylor's University Lakeside Campus. Young fashionistas and shoppers will have access to...over 9,000! 50,000 pieces of fashionable clothing and accessories. And all they need to do is pay an entrance fee of RM60 for access to the buffet area and grab as many clothes as they can in 15 minutes. 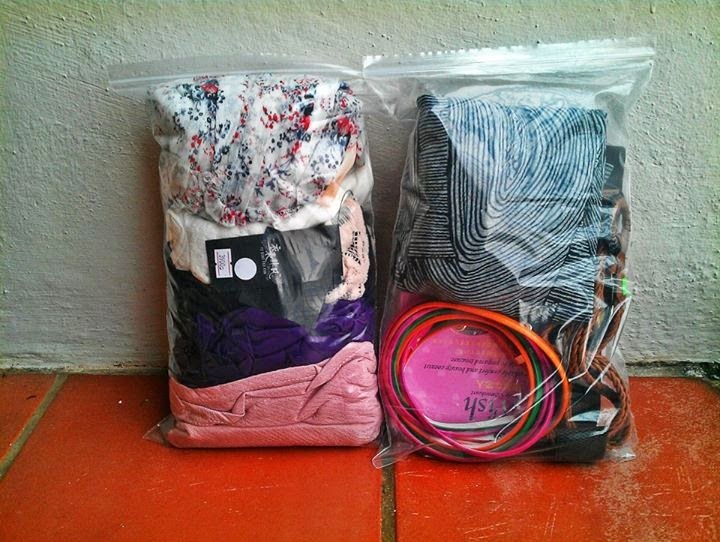 Each shopper will receive a ziplock bag which they will have to fit their haul into before exiting. Each ziplock bag is 9 x 14 inches big so get practicing on your packing technique if you want to beat the current record of 16 pieces to a bag! As an added bonus, on each of the three days, there will be a Blowout Sale from 4-6pm where every piece of clothing will be on sale at only RM10. Shoppers will also find plenty of other things to see and buy there as a variety of stalls will be participating in adjacent to the fashion buffet. 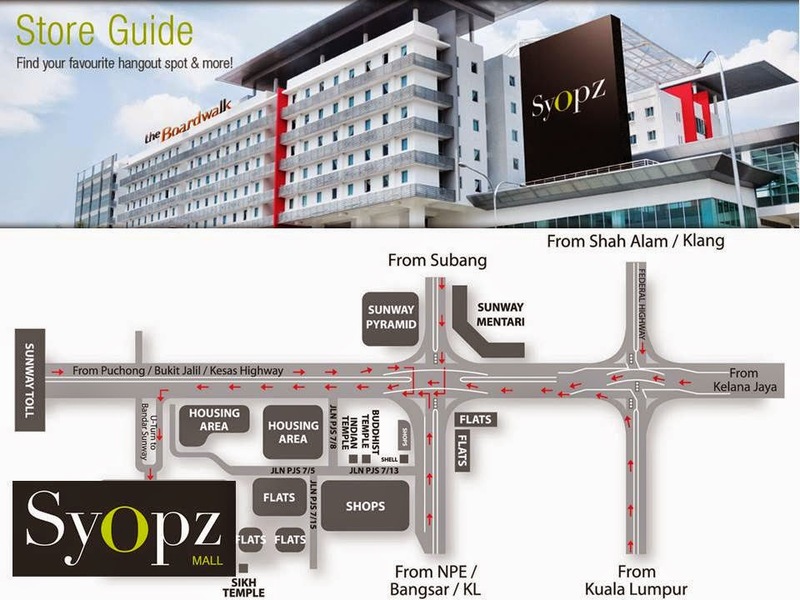 For more information, like and follow their Facebook page here -----> www.facebook.com/malaysiaclothesbuffet. ♥ Management reserves the right to amend the terms & conditions without prior notice.